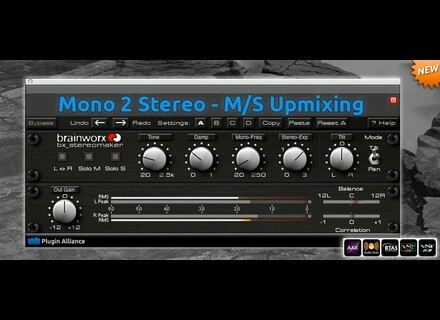 bx_stereomaker, Surround Sound/Spatialization Software from Brainworx. Hence, the signal ends up in stereo - which is just awesome! Only takes a rather little time to get used to!